Once you have narrowed your choice down to two excellent mandibular advancement devices, all you need is a fresh, objective look at both of them in order to know for certain which one of them is the right choice for you. We have made this VitalSleep VS ZYPPAH comparison for that purpose. See how well these devices satisfy our criteria and which one of them we believe is the more reliable and effective snoring aid. 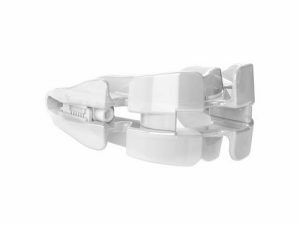 One of the best snoring mouthpieces on the market, Zyppah is a mandibular advancement device that has been proven effective by thousands of users. Made in the USA and clinically tested, it is a safe, reliable, comfortable, and customizable snoring aid. ZYPPAH mouthpiece is designed to last between 6 and 9 months, but it may last longer with proper use and maintenance. ZYPPAH mouthpiece is made of a non-toxic, environmentally friendly material. It was designed by an experienced dentist to meet all safety and comfort criteria for its users. While ZYPPAH comes in only one size, it is designed to fit the majority of users. It is made of soft materials that are easily molded, so all you have to do is soak the device in hot water and bite down onto it to achieve a perfect fit. ZYPPAH anti-snoring mouthpiece may take some getting used to, especially if you have never used an oral appliance before. The company recommends wearing the device 1 minute at a time as often as possible. After just a couple of days, you should be comfortable wearing it all night long. ZYPPAH mouthpiece attacks your snoring problem on two fronts. It advances your lower jaw, preventing it from falling backward as your muscles relax during the night. It also prevents your tongue from falling to the back of your throat and blocking the natural airflow. It works almost instantaneously. ZYPPAH anti-snoring mouthpiece should be cleaned with the company's proprietary cleaner called SNAP. It features all three critical properties required for the safe use of the device: anti-viral, anti-fungal, and anti-bacterial. ZYPPAH comes with a full 90-day money-back guarantee, which means you can return it within 90 days of your purchase date and get a refund. You get an extra 90 days if you also purchased the SNAP cleanser. ZYPPAH does not come with a warranty. I bought Zyppah for our trip to Paris since I didn’t want to miss on the whole experience by waking up beaten to a pulp every morning. The most important thing however is that it works like a charm. As far as my wife is concerned, my snoring has been completely gone ever since we bought the mouthpiece. The back line did break through but it was completely my fault since I shouldn’t have cleaned it with toothpaste. The mouthpiece works exactly as advertised but if you’re a restless sleeper like me you can count on it falling out of your mouth until you get used to it and develop muscle control to keep it in. The mouthpiece was kinda uncomfortable at first and it made me droll a lot for like a couple of days but they were all just short-term side effects that disappear after your first week. The awesome design and me not snoring anymore however are sticking around for the long run. It took me a couple of days to get use to this device and my jaw felt a bit sore during that time. I was so focused on being comfortable I haven't even realized I stopped snoring in the meantime. I wake up revitalized every morning and my wife is finally able to get a good night's sleep too.